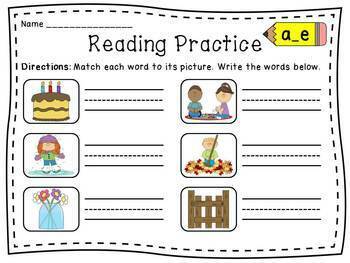 Reading Centers galore: an entire year set of reading centers for phonics where students match the picture to the word and recording sheets for a great literacy station to last you the entire year! 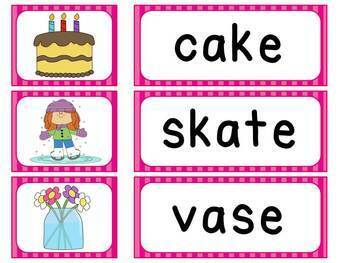 This is a great activity to reinforce phonics skills and especially when used as intervention for English language learners and/or students that are struggling readers. 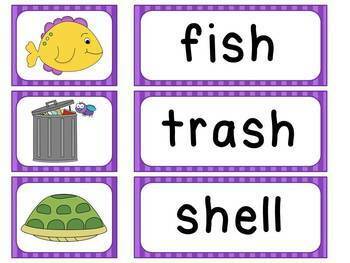 All of the words are decodable for beginning readers. This literacy station set comes with 35 different activities that each has 12 picture word matching cards (6 words) and a recording sheet that goes along with them. **ADDED 4-17-15: Table of Contents where you can click on the sound you want to take you to it for easy navigation! If there are sounds you need that are not included, just let me know! 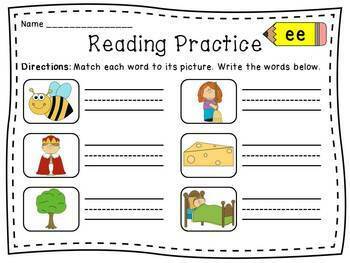 First Grade Literacy Stations MEGA Bundle Part 2!